Cosmetics pumps are required for the high-quality liquids produced in this industry. Likewise, cosmetics pumps can handle the highly flammable, volatile liquids used to make perfumes and colognes within this industry. A wide variety of pumps are used to transfer, mix, unload and process liquids for the cosmetics and perfume industry. 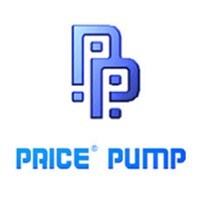 At BPH Pumps, we carry a large selection of industrial pumps for a wide range of applications in the cosmetics and perfume industry. Drum and container pumps have high-efficiencies for transferring liquids, leaving very little residue behind. Centrifugal, flexible impeller, rotary lobe and diaphragm pumps also have many uses in for cosmetics applications. Browse our cosmetics pumps from the top manufacturers below.